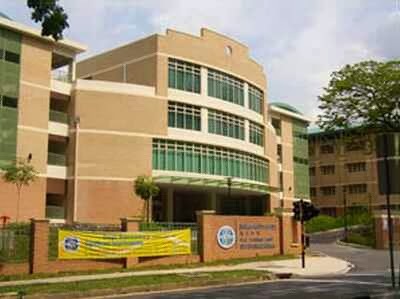 Deyi Secondary School is located at 1, Ang Mio Kio Street 42 in Singapore 569277. It is enclosed within the Ang Mo Kio Region. Ang Mo Kio is situated at the north-central section of Singapore. It contains HDB flats, wet markets and hawker Centers. Nearest MRT is Ang Mo Kio MRT and the closest bus interchange is Ang Mo Kio Bus Interchange. Amenities in the area include Ang Mo Kio Hub, MyVillage @ Serangoon Garden and Junction 8. Some of the schools close by are Teck Ghee Primary School, Jing Shan Primary School and Chong Boon Secondary School.